BACK IN 1973, I was lucky enough to see the Three versus Six game at Wembley that heralded Britain’s entry into the European Economic Community or Common Market as we called it at the time. Politics aside, this was supposed to be a celebration of the country’s entry into Europe. It was an exciting prospect, given that at that time, there were some great players in continental Europe. The game demonstrated our tepid approach to the project and the public’s somewhat insular attitude to football. England were still a few months away from getting turfed out of the World Cup and as far as many people were concerned, we were still one of the greatest nations on the planet in terms of our position in football. Only 36,000 people turned up to see the game. That night, however, the following players were on display from “the six”: Franz Beckenbauer, Johan Neeskens, Wim Van Hanegem, Gerd Müller, Günter Netzer and Dino Zoff. And on the side of Britain, Ireland and Denmark: Pat Jennings, Bobby Moore, Bobby Charlton and Colin Bell. It was a genuine privilege to see some of these luminaries in action. It made me think when recalling this unique occasion – how many of the game’s true greats does one get to see in a career as a spectator? Johan Cruyff was one of my heroes and I’m pleased to say that I saw him play a few times: 1971 European Cup final at Wembley, 1977 for the Netherlands in a majestic performance that saw him inspire a 2-0 win against England, and again playing for New York Cosmos. Of course, we all have our own heroes from watching our favourite clubs on a regular basis, and that also opens the door to see outstanding talents from other clubs. For example, Clive Walker of Chelsea was a player I loved watching and recall fondly for his display against Liverpool in 1978 in the FA Cup. Actually, I have just interviewed him for a very prestigious football journal. But what about the true legends of the game? I was absolutely thrilled to meet Sir Stanley Matthews at a book signing, but even more honoured to share an evening with Chelsea’s 1954-55 title-winners at a special dinner in 2005. On that same night, I sat opposite an elderly, white-haired chap who spoke softly and humbly. It was only after half an hour or so that I realised I was in the company of Tom Finney! He signed my menu and talked to me for about 10 minutes about the Chelsea team of 1955. It was a wonderful night. Back in 1977, I met Ted Drake, who I believe was scouting for Fulham. An absolute gentleman. Of course, I never saw any of these fellows play, but down the years, I can tick a box for Ronaldo and Messi, Romario, Maldini, Gullit and a couple of Laudrup(s). 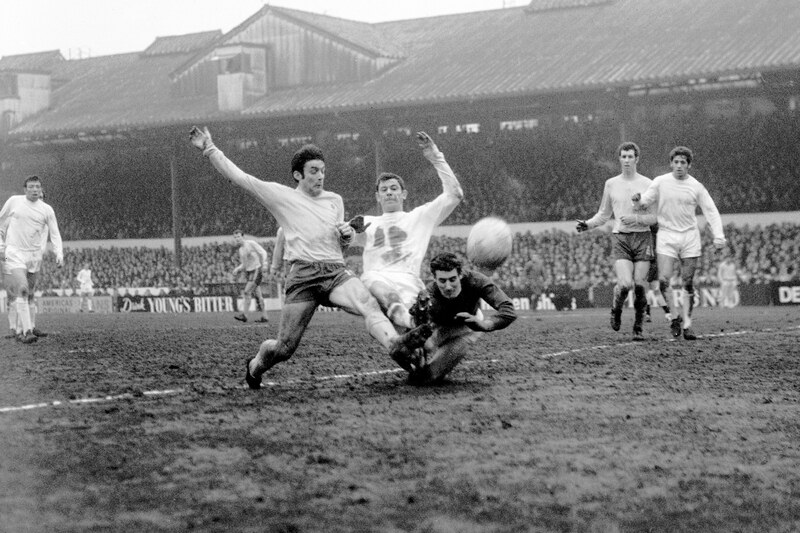 I was fortunate to have grown up in a time when the heroes of Goal and Football Monthly were in their prime – I was at Upton Park when two heroes of 1966, Gordon Banks and Geoff Hurst, went head-to-head in a penalty situation in a vital Football League Cup semi-final. I was standing behind the goal as Hurst, with puffed-out cheeks, saw his kick saved by Banks. Bobby Moore was in the Hammers’ line-up but my memory of England’s victorious skipper came some six or seven years later when I was in a pub in Stratford, long before it became a shopping centre. I was standing at the bar with two colleagues and an elegant man in a dinner suit, accompanied by men in long overcoats, stood drinking a beer. All around him, heads turned and then eager arrivistes moved in – it was Moore and we were in his pub, Mooro’s. My real hero was Peter Osgood and in 1993, I hired him for a sportsman’s dinner. I was ecstatic to finally meet the player who once adorned by bedroom wall. We sat and talked all night, I went through his entire career, and when he got up to talk, he joked: “Thank God for that, I have just gone through 300-odd games with Neil Jensen and I have been bored stiff and I’m exhausted.” That evening will always stay fresh, particularly as, at the finale, he hugged me and told me it had been great. I could barely speak. Ossie then spent the majority of his fee in the bar, buying all and sundry a drink! We are told that sometimes, it doesn’t pay to meet your heroes, that they could just let you down and that it is best to remember them in celluloid, TV footage or as wall posters. But we still want to see the players that lit up our afternoons – Bobby Tambling, at another Chelsea event, told me that, “while we were making your weekend, you were making ours,” which I thought was a lovely comment to make to a fan. In Prague a few years ago, I was at a game and Antonín Panenka, he of the famous penalty kick, was walking to his seat through a sea of handshakes, backslaps and gestures of goodwill. The Czechs, too, like to see their heroes in the flesh. Look carefully next time you’re on a Euro hop – that elderly chap with a moustache and sensible overcoat may just be someone from the history books! This article originally appeared in Football Weekends, reproduced with permission.